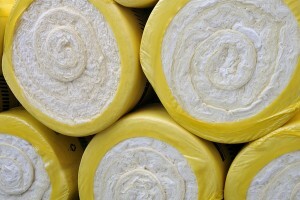 Batt insulation is excellent for ensuring that the walls and ceilings of your house are properly protected from heat transfer, especially because it comes in rolls that can be cut to fit most spaces, so it can be installed very quickly. If you live in the Memphis area of Tennessee and are looking for a company that can install top-quality insulation in your home, turn to 31-W Insulation. We proudly install batt insulation and more for homeowners throughout the southeastern United States, and our installation team is second to none. With new batt insulation in your home, you’ll be able to enjoy the many benefits that come with replacing your old insulation. Old insulation materials can rot or collect mold and mildew over time, so a replacement can help improve the air quality in your home. And, since the outside temperatures won’t affect the inside of your house nearly as much, your HVAC system won’t need to work as hard to maintain comfortable temperatures, which can also help lower your energy bill. To learn more about how we can help improve your home in Memphis, Tennessee, with new batt insulation, contact 31-W Insulation today.